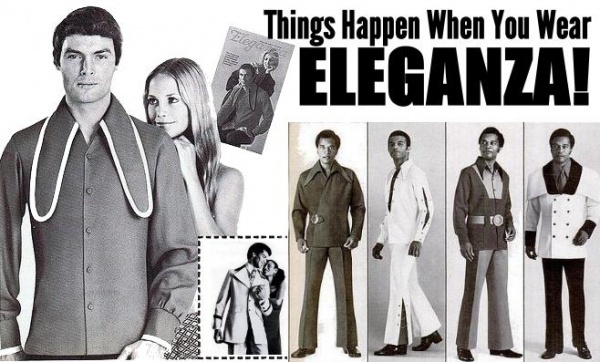 Things happen when you wear Eleganza – a strap-line defined by its understatement. 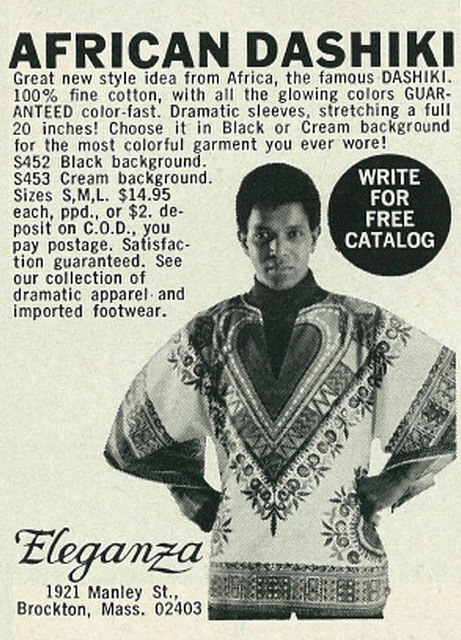 Things certainly would happen if you wore Eleganza in 2012 – we dare not think what and it probably wouldn’t be good for your health but back in the day this was the cutting edge of fashion and although a bit over-the-top, would not have looked out of place in most towns and cities. 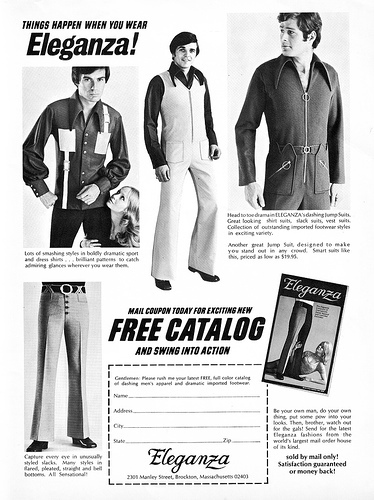 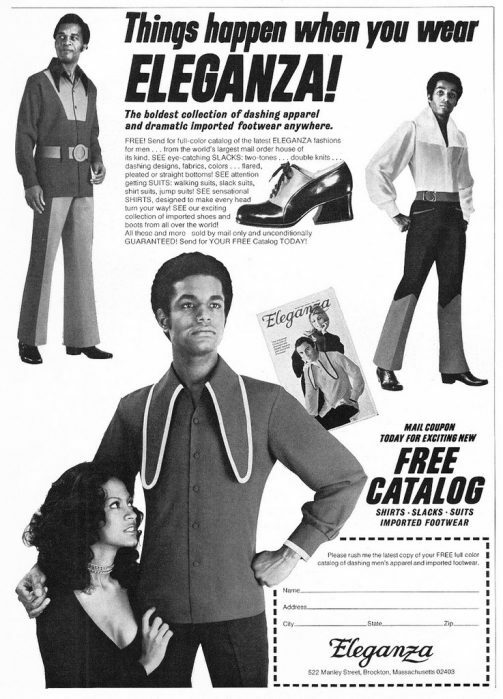 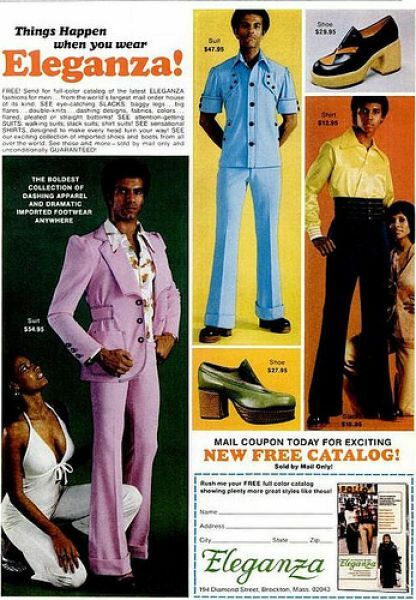 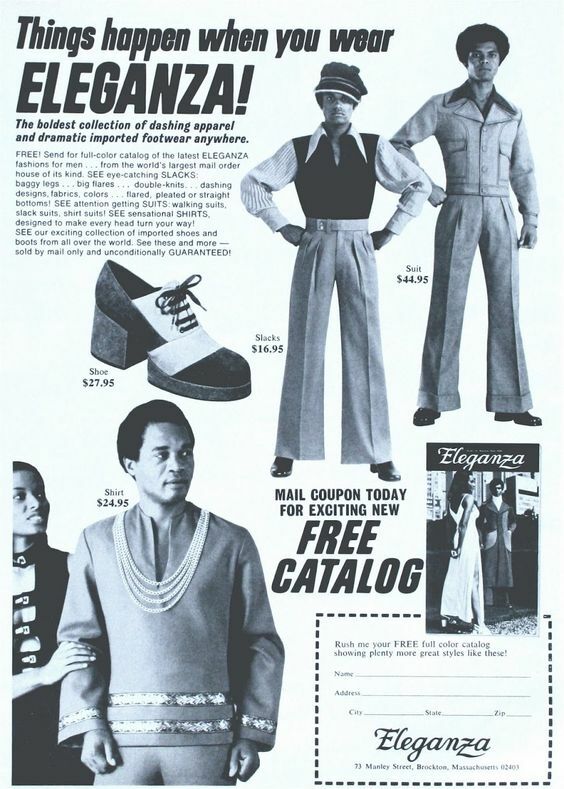 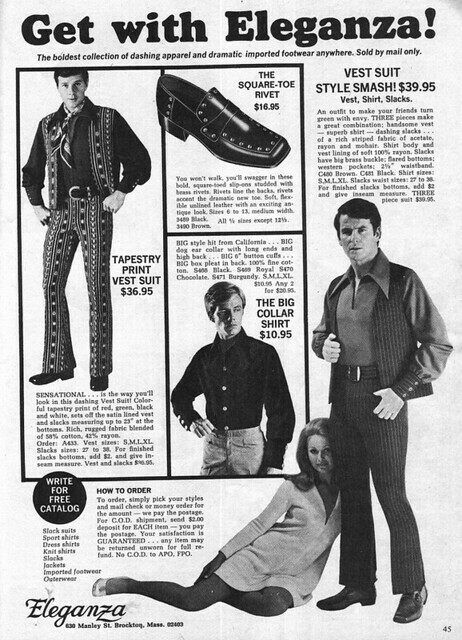 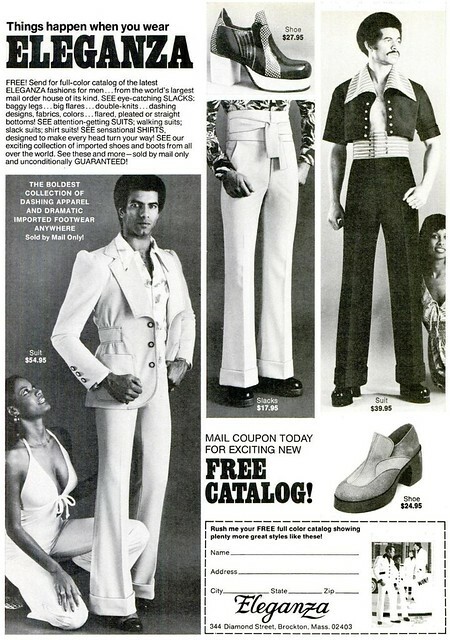 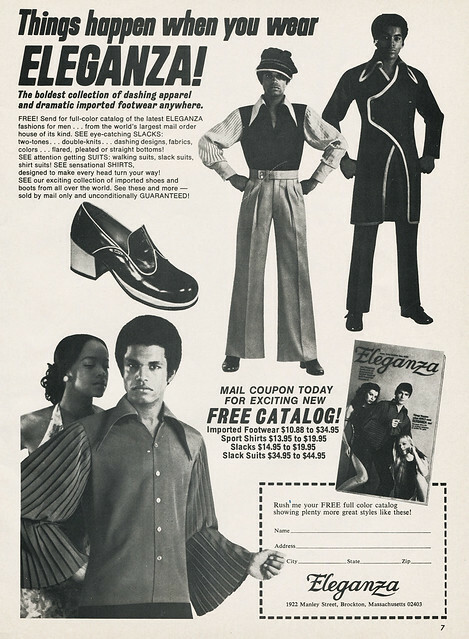 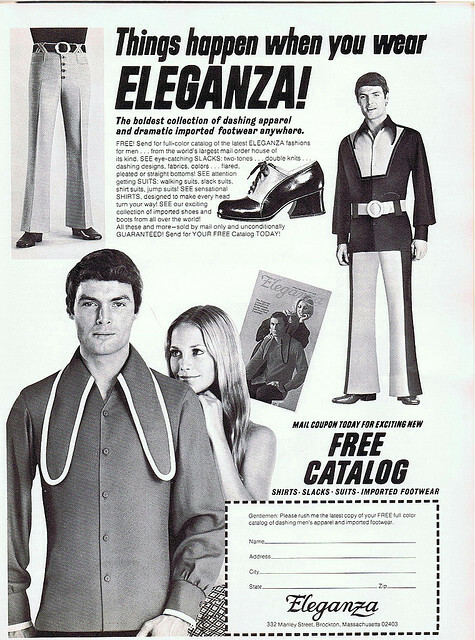 Clearly Eleganza were going for the more extreme end of the 1970s fashions and if you’ve seen a longer collar than that featured in the first advert (we think they were known as dog-ear collars) we’d love to see it. 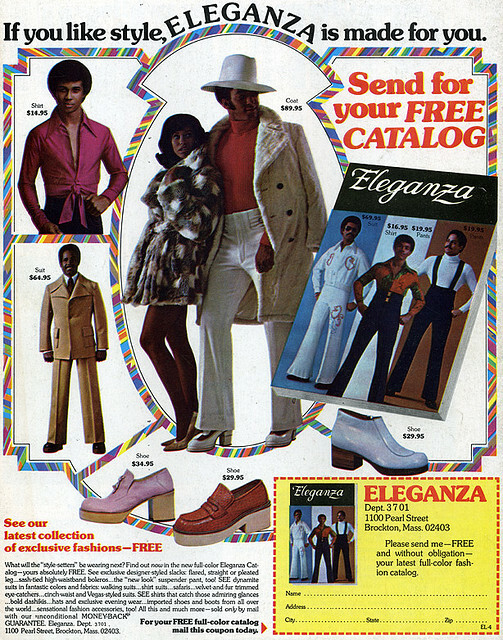 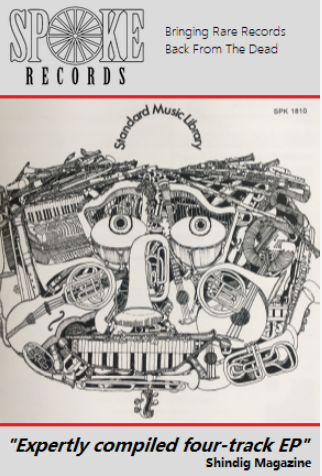 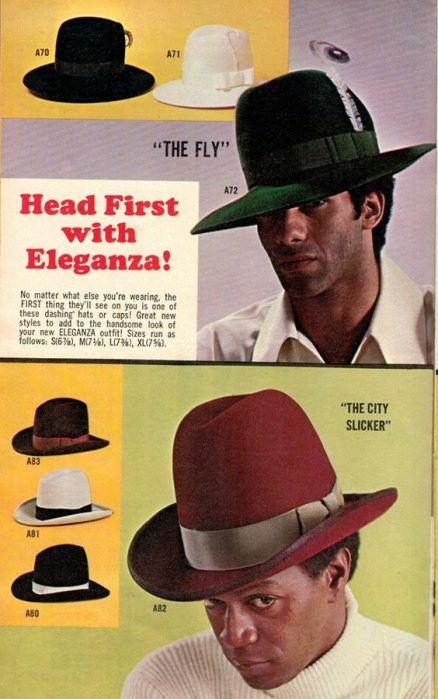 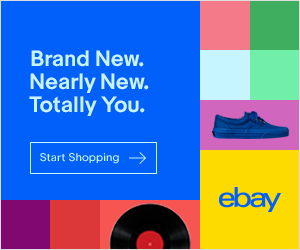 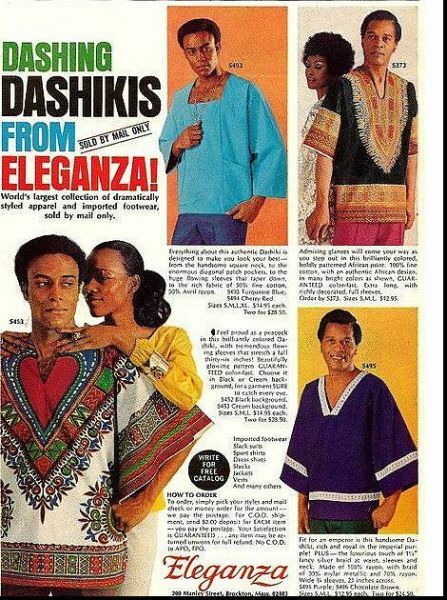 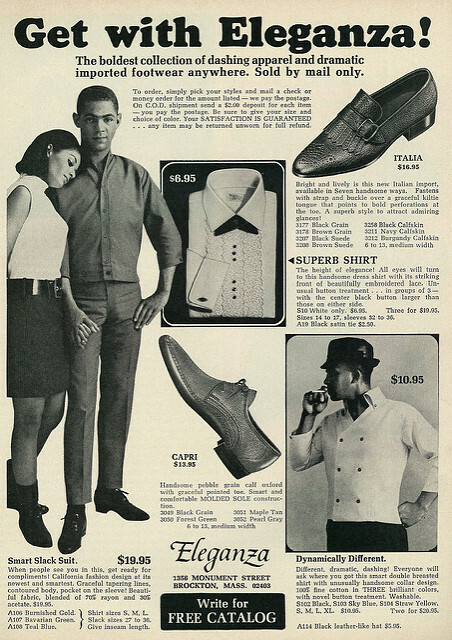 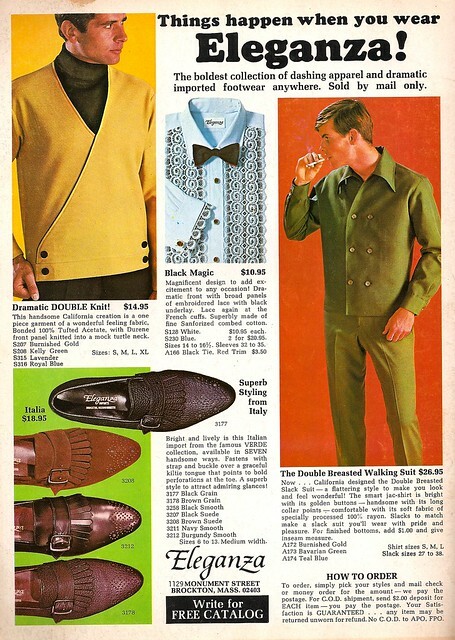 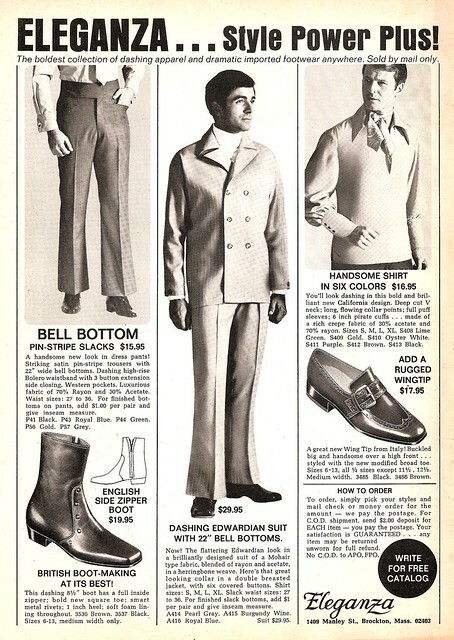 So, take a look back in time when fashion knew no limits and so it seems not much good taste either and Eleganza ruled the roost – but only by mail order.